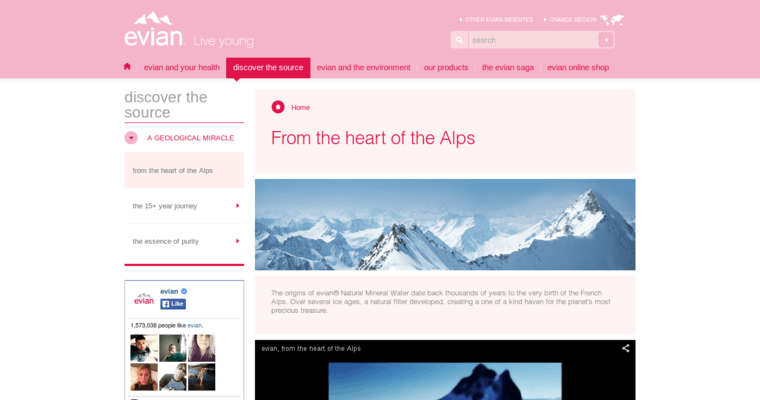 Most people are well-aware of the popular brand of water known as Evian. What they not might be aware of is the long filtration process and the care that goes into making this beverage. The actual filtration process takes years to complete, as the water trickles slowly down the mountains from the top of the Alps. Pure rain and snow filters down while the filtration process rids the water of chemicals found within, producing a beverage that is clean and pure. Consumers are able to choose from many bottle sizes that fits their daily needs. 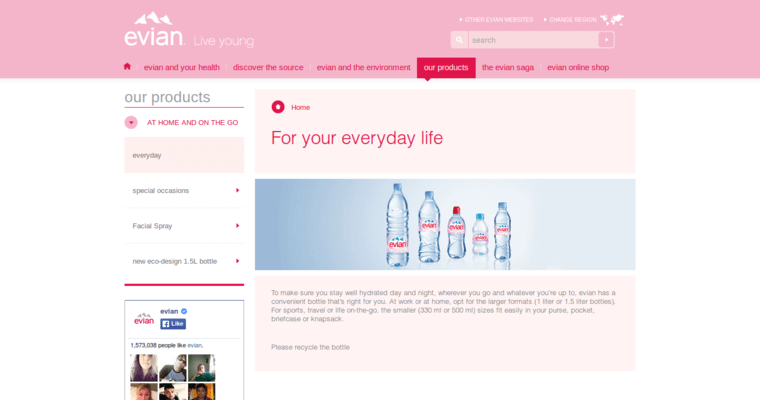 For example, Evian is produced in 750ml, 500ml, and 330ml sizes and all bottles are 100% recyclable. These sizes make it perfect to choose the one that will work best at home or on-the-go. Instead of the cheap, flat water found in a dusty dollar store, choose a brand that is as pure as the fresh snow.